$125. 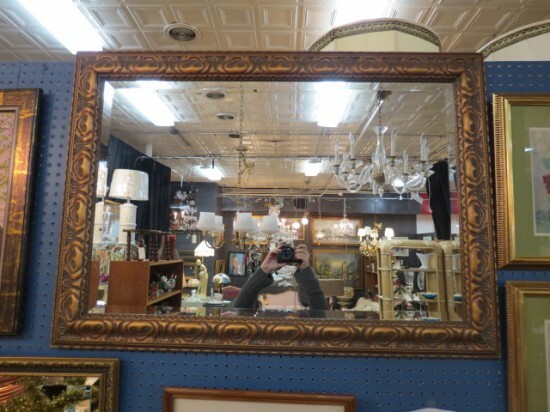 Vintage antique gold frame beveled mirror, c. 1960. Carved like metal gold frame with large beveled mirror for sparkle. Perfect for your living room or dining room. Excellent condition. 41in wide, 29in tall.